PSL season is officially upon us, with Starbucks churning out its iconic drink nationwide and grocery store endcaps showcasing the latest and greatest pumpkin spice pantry items to hit the shelves. We don’t mind being a little basic and enjoying this fall flavor every once in a while, but we do have a bone to pick with its nutritional content. Typically, pumpkin-spice anything is chock-full of refined sugar, which makes us crash in the middle of the afternoon and crave even more sweet stuff than we should. Plus, so many of these treats totally skip over the major nutritional benefits of the main ingredient: pumpkin. This gourd vegetable is loaded with vitamin A, potassium and healthy fiber. 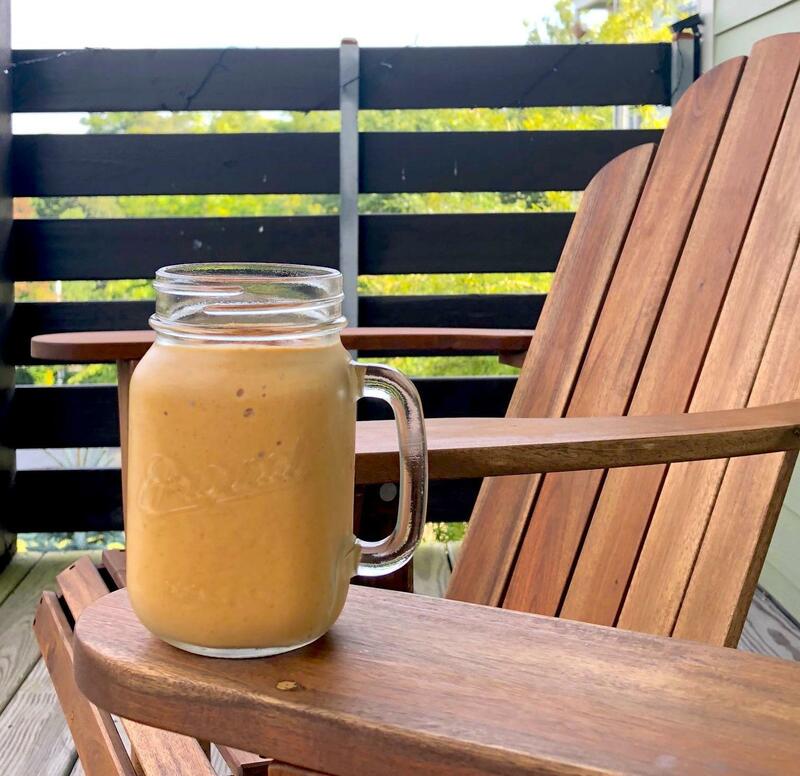 So we started playing around in our kitchens to come up a way to indulge in the PSL craze without losing sight of what our bodies need most, and we came up with this pumpkin spice smoothie that hits every mark. Trust us — you’ll be ditching the cafe line and whipping this baby up in your kitchen all autumn long. Place all ingredients in a high-power blender in the order they’re listed above. Blend on high for 30 seconds, or until the mixture looks nice and smooth. Carefully pour the smoothie into your glass of choice. 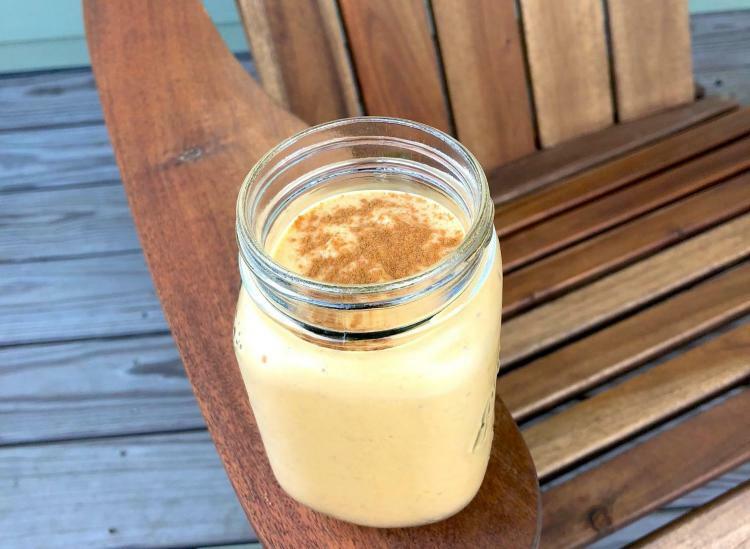 Sprinkle a little extra cinnamon on top, grab a straw and feel all of the fall vibes as you sip on this flavor-packed treat full of protein, vitamins and minerals. And thanks to the folks at siggi’s for sharing their seasonal Pumpkin & Spice Icelandic-style yogurt flavor with us! It helped us take this recipe to the next level.